Back during biblical times, wise men liked to wear their hair long and billowy, and it was a pretty good look on them! Unfortunately, it takes a long time to grow hair and a beard of biblical proportions. And if your little one happens to be the one wanting that look, he'll first have to wait until he can even grow a beard before he can grow one this shaggy! 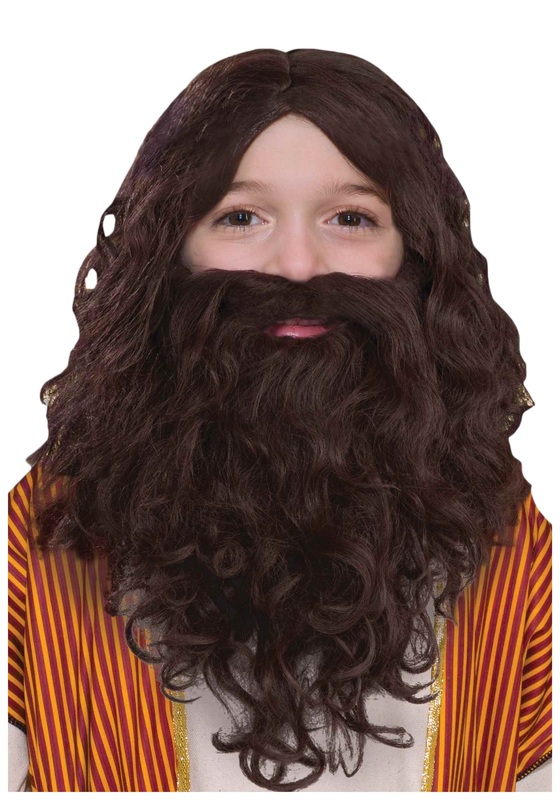 No need to fret, though, since he can simply sport this Biblical Wig and Beard Set to contribute some incredible detail to his historical costume! Made of 100% synthetic strands, this long flowing hair and matching beard set lets your kid wear their hair how men a couple thousand years ago wore it. It'll add plenty of authenticity to his Easter, Christmas, or other religious pageant costume, and make them look pretty wise, too!